The Seahawks on Saturday promoted RB Rod Smith to the 53-man roster from the practice squad and placed CB Tharold Simon on Injured Reserve. The Seattle Seahawks on Saturday promoted running back Rod Smith from the practiced squad to the 53-man roster to add depth in the backfield with Marshawn Lynch missing a second straight game with a hamstring injury Sunday at Cincinnati. Seattle created room on the 53-man roster by placing cornerback Tharold Simon on Injured Reserve. Simon is battling a dislocated toe and coach Pete Carroll on Friday hinted that he may need surgery. Smith, an undrafted rookie free agent from Ohio State, rushed for 70 yards on 10 carries in the preseason and had 27 yards on six receptions. He was released in the cutdown to 53 and then re-signed to the practice squad. The 6-3, 226-pound Smith was dismissed from the team at Ohio State last October, reportedly for failing a drug test. The native of Fort Wayne, Ind, had 650 yards on 107 carries in his career at Ohio State. Simon, a third-year player out of LSU, also missed his rookie season in 2013 with foot issues. He played in one game this season, at Green Bay. Being placed on IR means he is now done for the season. The Seahawks are a little shy at cornerback going against Cincinnati with nickelback Marcus Burley out after having thumb surgery on Thursday and rookie Tye Smith also ailing with a hip injury. 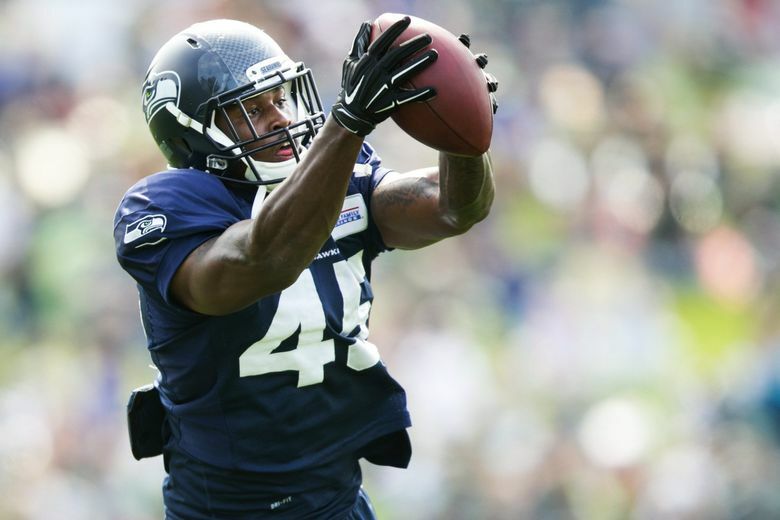 Rod Smith, meanwhile, will add depth behind expected starter Thomas Rawls and veteran Fred Jackson. The team hopes Jackson will be able to shake off a high ankle sprain suffered Monday against Detroit and be able to play against the Bengals. Fullback Derrick Coleman can also pitch in at tailback.